A state Senator described a cat-and-mouse game between police and drug dealers in explaining the need for a controlled substances law he introduced during the 2016 General Assembly. 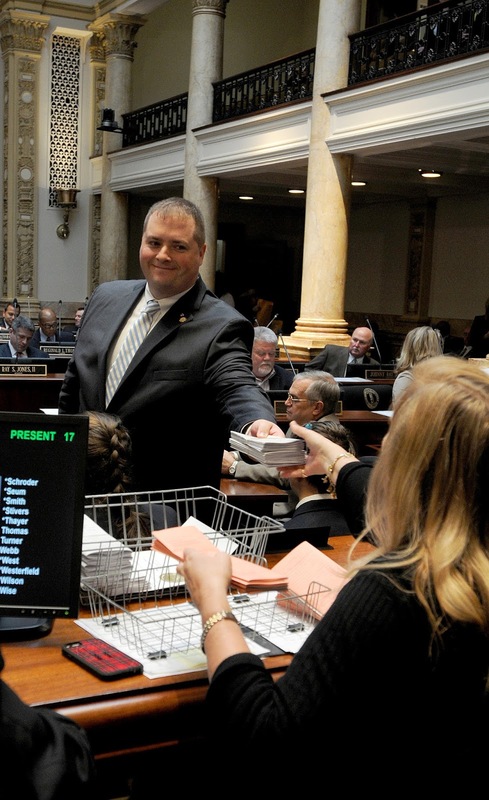 Sen. Whitney Westerfield, R-Hopkinsville, said law enforcement is constantly trying to keep up with new substances drug dealers are peddling to addicts chasing an ever more powerful and cheaper high. 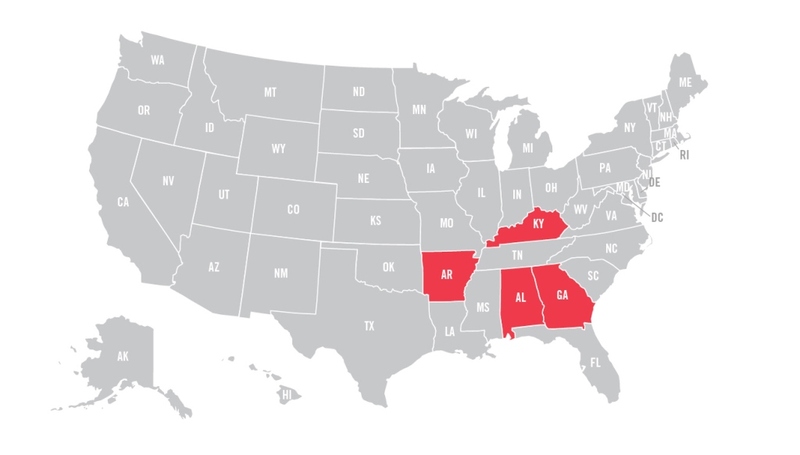 His measure, Senate Bill 136, would increase controls on the semi-synthetic opioid hydrocodone and prohibit three other substances not currently addressed by existing laws – the plant “kratom” and the synthetic opioids known on the street as W-18 and W-15. After Westerfield’s explanation of the measure, SB 136 passed the state Senate by a 35-1-1 vote on last Thursday. 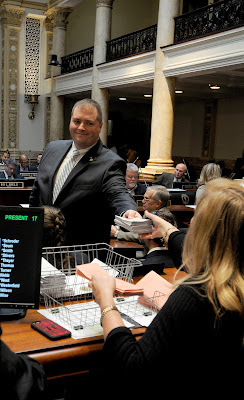 Sen. Perry B. Clark, D- Louisville, said he cast the lone “no” vote because he was concerned about a prohibition on kratom. Clark characterized kratom, known by the scientific name of Mitragyna speciosa, as an herbal supplement. He said the University of Mississippi is studying whether kratom can be used to wean drug addicts off heroin. Westerfield agreed that kratom was a plant but added it can sometimes be combined with synthetic drugs and abused. He said possessing kratom would carrying a penalty of up to 30 days. “They are hundreds, if not thousands, of times more potent and powerful than fentanyl,” said Westerfield, adding that fentanyl is a synthetic opioid analgesic often prescribed to terminal cancer patients but sometimes abused by heroin addicts. Possession of any amount of W-18 and W-15 would carry a maximum penalty of three years in prison. Trafficking W-18 and W-15 would carry a penalty of five years to 10 years in prison for a first offense. The penalties would go up for subsequent offenses. SB 136 now goes to the state House of Representatives for further consideration.